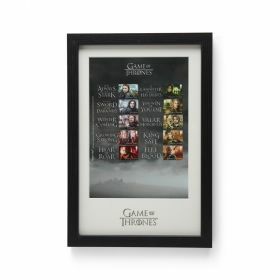 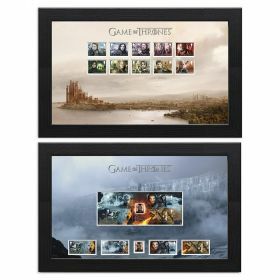 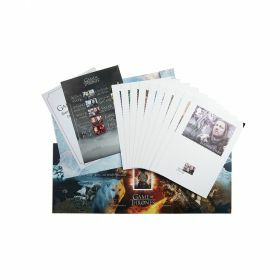 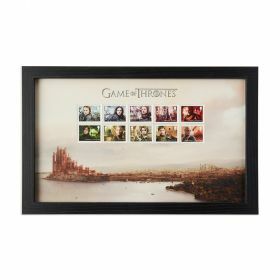 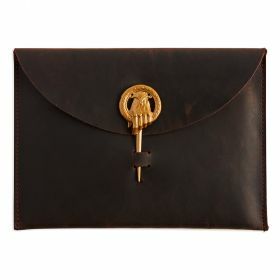 Includes all ten character Game of Thrones stamps affixed and Medal. 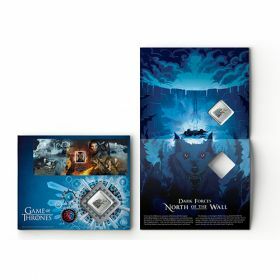 Brilliant Uncirculated medal, with the sigil of House Targaryen on the obverse and 'Fire and Blood' on the reverse. 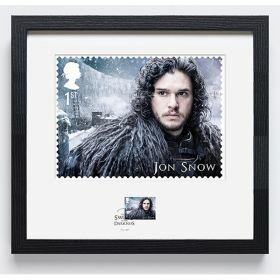 A unique handstamp depicting Jon Snow's sword, Longclaw. 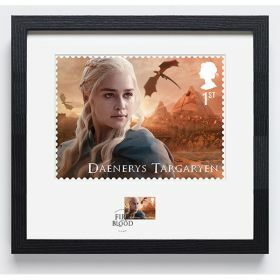 All ten character Game of Thrones stamps.